Typically, the dog owner's insurance company will pay for the compensation in a Chicago dog bite case. While the owner is the responsible party, he or she will probably have some form of insurance (such as rental, business, homeowner, landlord, or other form of insurance) that will kick in and remit payment in the event of a dog bite. The added presence of an insurance company complicates the dispute and strengthens the need for competent legal representation. Who Is Responsible For Paying Illinois Dog Bite Case Awards? How Much Can I Get For My Illinois Dog Bite Case Award? Still Considering An Illinois Dog Bite Case? ""Owner" means any person having a right of property in an animal, or who keeps or harbors an animal, or who has it in his care, or acts as its custodian, or who knowingly permits a dog to remain on any premises occupied by him or her." However, in certain situations, dog owners can contract with other parties to transfer the liability to another person or entity include insurance companies (for homeowner, rental, and other policies). Therefore, in that situation, the insurance company would be forced to pay you. Yet, many Illinois victims are not aware that sometimes the dog owner's insurance policy does not apply. For instance, the policy might not apply if the dog attack that took place outside of the owner's property. Alternatively, the policy might not apply if the particular dog was a certain, dangerous breed. 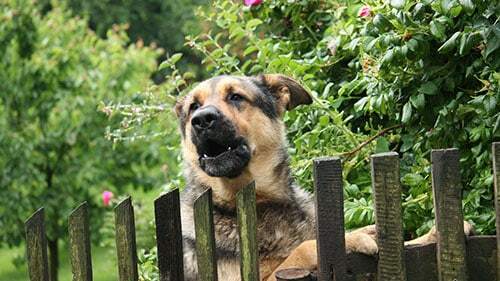 Therefore, while it is not uncommon for dog owners to have insurance policies covering attacks or bites, that does not mean they will apply to your specific case. Thus, it is important to have an experienced lawyer review the policy and determine its relevancy. The nature of your injuries and the amount of compensation that you are seeking in court also relates to third-party liability in Illinois dog bite litigation. This is because many policies only cover damages to certain level but you might have injuries that go well above that. In this case, you would need to go back to the actual dog owner for the remainder. If you are successful in dragging in all of the implicated parties and proving their responsibilities, you can recover for all of the harm that the dog caused you including financial costs, physical injuries, and mental suffering. Rosenfeld Injury Lawyers LLC commits all our people and resources to obtain every bit of compensation that our clients need and deserve in Illinois dog bite cases. However, we know that the incident itself can be very costly and traumatic. For this reason, we set up contingency-fee agreements with every victim we represent so that they don't have to worry about covering any expense and can solely focus on their recovery. You will only be charged if you are happy with the outcome of the suit. Contact Rosenfeld Injury Lawyers LLC today to hear more about how we can help you with your Illinois dog bite claim.